EMF HEALTH offers comprehensive EMF surveys for homes, offices, small business and properties in Scotland and the UK. 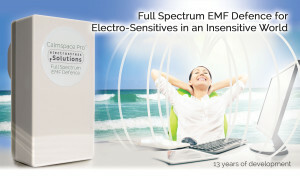 Our EMF Solution products will help you optimise your working and living spaces so you can thrive in safe environments. If you’re electrosensitive or worried about EMR (electromagnetic radiation) in your home or workplace or when you’re traveling book your EMF bespoke personal survey today.